Hi readers its a wrap for the eventful month of May and if you’ve been following along on Instagram and now Twitter you probably already know about some of the exciting events! 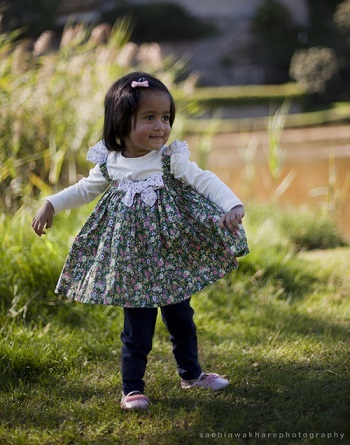 Mersina K is a brand housing cute, exquisite and vintage inspired children’s wear. The rare high quality fabric and limited number of pieces make each garment special and highly sought after. The pieces are designed and meticulously hand crafted by the designer Mersina herself, who has her online store on Etsy. Her fabulous collection includes dresses, singlets, skirts, body suits, headpieces, pants and many more pieces with quirky detailing and new styles coming in monthly. 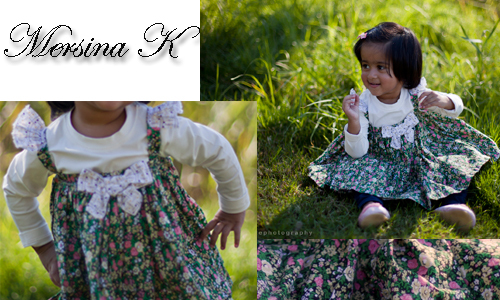 I handcraft girls children’s wear using vintage fabrics from around the world mainly Europe and USA. Fashion has been my background for years in study and work. When my baby girl, Opul was born, I felt very inspired to create quirky pieces for her. One day I found a beautiful vintage fabric and I began hand pleating it and ended up creating a skirt. 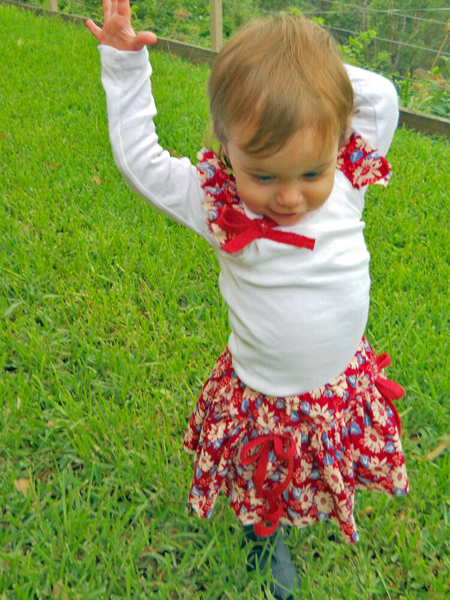 I often put outfits on my daughter and then finish off the last touches. My son has also inspired me in a way, especially because I feel there isn’t a lot of interesting boys-wear out there, so I’d like to create something special for little boys too. The reason I choose vintage fabrics of excellent quality is that I know that it will be unique. Everything I create is pretty exclusive in that way and also I only make a few in the exact same style. Age range I cater for is 3 months to 6 years. My kids are my main inspiration and they along with my husband keep me positive. Shopping for new fabric always excites me and gets my creative ideas flowing! Facebook is my main marketing focus and of course Etsy. My shop on Etsy can be found here including the whole range. I keep all my fans updated via Facebook. I now also have a few of my pieces available for purchasing at Sew Make Create in Chippendale, Sydney. Collaborations are always a great idea and I have collaborated with Jinja Photography, where some of my pieces are used for photo shoots and my creations are recommended to clients. I love Cue! So I have quite a few timeless pieces from Cue lovingly collected over the last 10 years. My favourite piece would be my navy 3/4 sleeve pea-coat in the memory fabric, it can essentially be worn all year around. When it comes to shoes, I like Melissa shoes. I have a few timeless pairs I will wear forever, one of my favourite is the black button ‘Aranha’ shoe with a stiletto heel. I love shopping online as I love the feeling of receiving a parcel and the mystery of what the item really looks and feels like. Online shopping is a large field and you have the advantage of shopping anytime of day. Goals are to create a small range of boys-wear this year, as soon as within the next few weeks! I am pleased with my customer base at the moment and would love to expand this and get customers purchasing regularly. I rate satisfaction highly and love the feeling of getting all excited with the idea of a new product. Hoping for this to happen frequently too!! 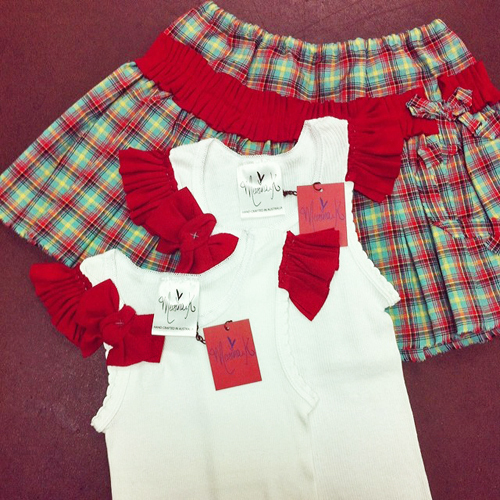 Have fun shopping beautiful creations for your little ones from the Mersina K store! Those outfits are just devine! So cute!!! There are so many lovely clothes around for kids, but it feels always so special to own something unique. They are great for presents as well. I guess you can cherish a specific one and hold onto it till bubs 21st birthday !!!!! Oh my gosh…Avishka looks sooo cute in those dresses. Perfect photography, perfect model,perfect stylist, perfect family. God bless. Wow!!! Finally!!! Kids wear that is unique!! The little models are so cute too..i had a quick look at the shop and i love the images!!! This article also is written so well is captivates the Designer and the label Mersina K perfectly. I cannot wait to see the boys wear!!! I have 2 little boys 5 and 2..bring me on some quirky vintage!!! Since I have a little girl …i might check this out! !